High fermentation double malt hemp beer refermented in the bottle, light coloured, compact and creamy foam, reflects with mastery the trappist style that characterises it. Recommended tasting: 9°C. Alcohol content: 6%. Content: 0.5lt. Hemp beer double malt of high fermentation and refermented in the bottle, light coloured, compact and creamy foam, reflects with mastery the trappist style that characterises it. It is not a beer flavoured with hemp, but hemp almost completely replaces the hops, thus obtaining a beer with the unmistakable floral hemp! A beer totally unconventional and unique. 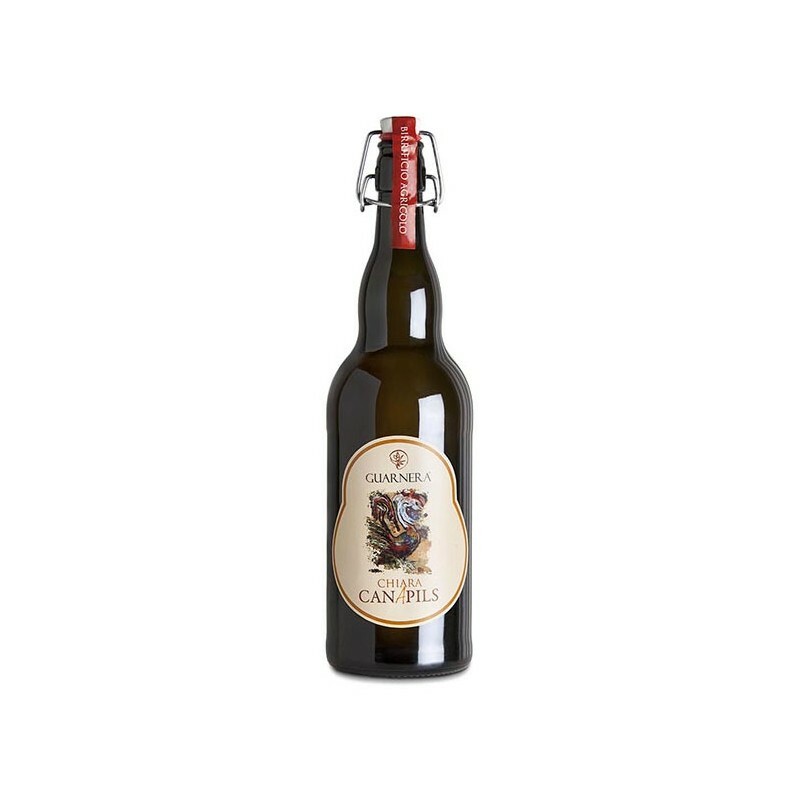 75% of the malts of the Guarnera Agricultural Brewery confer taste and aroma in harmony with the Bavarian hops and the hemp, giving it a pleasant floral fragrance, unique in its kind. Demanding as an aperitif, perfect with Mediterranean starters and fish dishes.